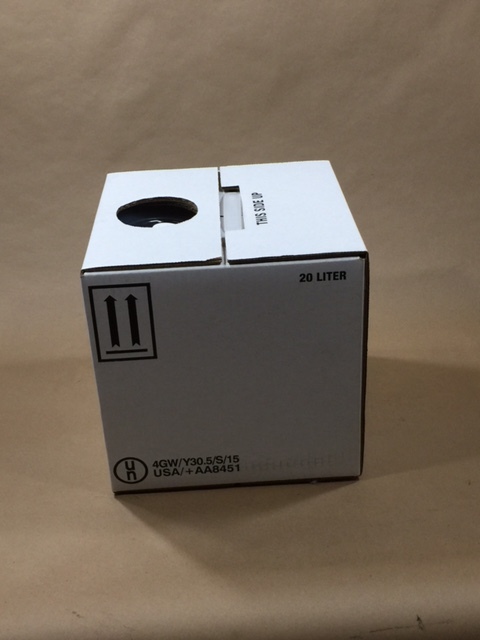 Cubitainers are molded, flexible, low-density polyethylene inserts in a box. These containers are commonly referred to as a “bag in a box”. We carry three sizes of assembled cubitainers. A 1 gallon cubitainer, a 2.5 gallon and a 20 liter or 5 gallon. All three are UN rated – the 1 gallon is UN4G/Y6/S, the 2.5 gallon is UN4GY16/S and the 20 liter or 5 gallon is UN4G/Y32/S. 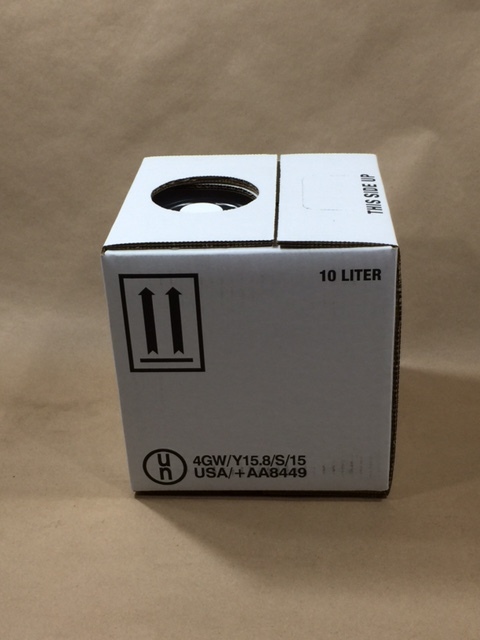 They come with a 38mm cap – ready to fill. Convenient and cost efficient the cubitainer can use existing filling equipment. The polyethylene insert has a self-collapsing design. 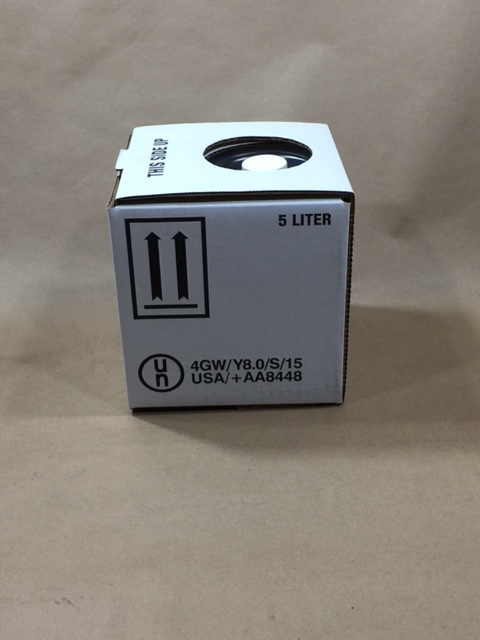 The end user can break down the packaging thus reducing disposal costs. The insert is completely recyclable and the collapsing design prevents secondary use and liability exposure. They are collapsible, stackable, lightweight yet durable. We stock a 38mm spigot that can be purchased separately.